What Is a Demitasse (Or Espresso) Cup? 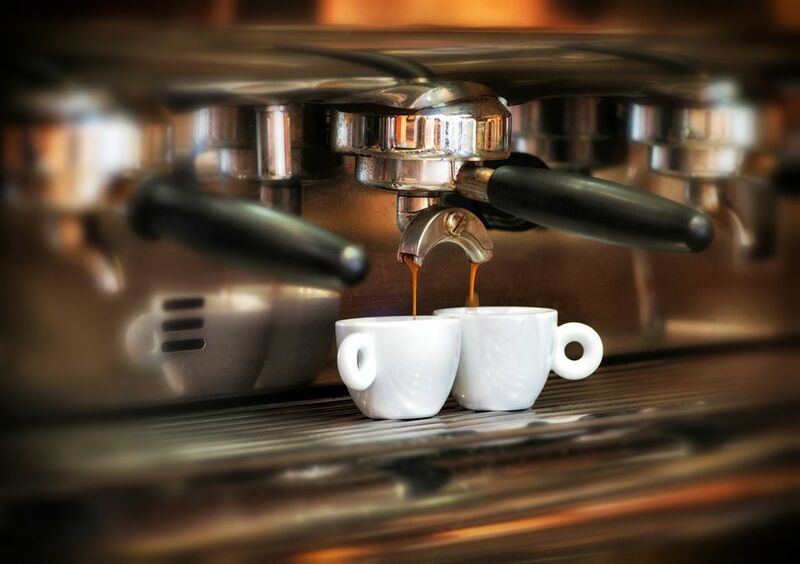 You may think of them as espresso cups, but the real name for the small coffee cup that commonly holds espresso is a demitasse cup. These tiny white cups can be seen in restaurants, cafes, and coffee houses throughout the world. Demitasse (dem-E-tas) is French for "half cup." This small coffee cup holds about 2 to 3 fluid ounces (60 to 90 milliliters). They are half the size of a regular coffee cup, hence the name "half cup." It is a common misconception that demitasse cups hold (or should hold) one-half of a cup measure (4 ounces). The name refers to a one-half coffee cup. In addition to meaning half cup, the term demitasse may also refer to the measurement of coffee in a demitasse cup or glass. For example, "I'd like a demitasse of Turkish coffee" would refer to the quantity of Turkish coffee in question. Likewise, "I drank a demitasse" would indicate the quantity of espresso or coffee rather than the cup itself. Demitasse is French, and the same cup goes by different names depending on where you are in the world. Demitasse cups are usually made of porcelain, pottery, or ceramic. Sometimes, they are made from glass and framed in a metal base with a metal handle. Most demitasse cups are classic white, but sometimes you can find brightly colored or patterned demitasse cups. Demitasse cups are most often used to serve Turkish coffee, espresso (single shots or "doppio"/double shots) and other highly concentrated coffee drinks (such as Greek coffee). They may also be used for hot chocolate and other hot drinks in cafes, restaurants, and homes, though this is less common. Demitasse cups most often appear in restaurants after dinner. They can be seen in many cafes and coffeehouses throughout the day. Some people prefer to use French roast coffee rather than espresso roast or Italian roast coffee when serving espresso in a demitasse cup. This gives it a more pronounced French influence. Since French roast coffee is a lighter roast than Italian or espresso roast, it will have slightly more caffeine. Demitasse cups are available from many retailers, both online and in brick-and-mortar stores. Vintage demitasse cups are a common collector's item among those who love coffee, as are demitasse cups with cultural flair. While they aren't essential, many demitasse cups come with matching saucers. As with teacups, these are a nice addition to the cup, allowing you to carry the cup more easily in a social situation and to prevent drips from staining the tablecloth. They can also be very beautiful. Some people also like to buy demitasse spoons (or espresso spoons) to place on the saucer. They are nice to use when stirring in sugar or milk. The teacup and saucer were the original inspiration for the demitasse cup. The mini cup and saucer, which is half the size of a demitasse cup and saucer. It's sometimes also known as a doll's cup because it's so tiny. The chocolate cup and saucer is a type of drinkware dating back to the 1770s. It's used for drinking chocolate.